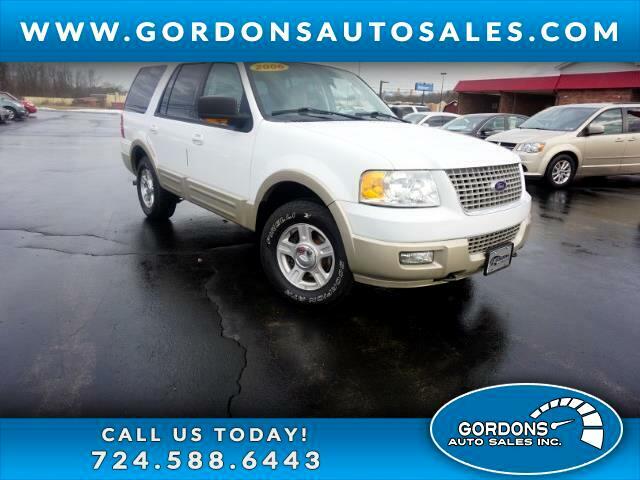 LOW MILES---ONLY 93,000 MILES--4X4-- POWER SUNROOF--LEATHER SEATS--EDDIE BAUER EDITION- 5.4L V8. SECOND ROW CAPTAINS CHAIRS. PA INSPECTED AND EMISSIONS. TRADE INS WELCOME. COME IN TODAY FOR YOUR TEST DRIVE AT 62 HADLEY RD GREENVILLE PA 16125. WE HAVE FINANCING OPTIONS FOR ALL .